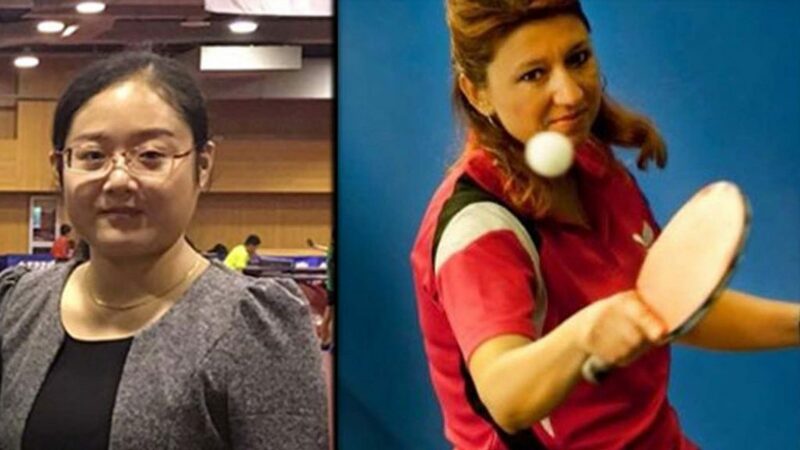 Present at previous Sport Science Conferences, Trinidad and Tobago’s Aleena Edwards, China’s Liu Ruizhi and Diana Zerdila of Greece are the three names who have received grants from the International Table Tennis Federation to attend this year’s edition. Organized by Halmstad University, the Science and Practice of Racket Sports for Improved Performance and Health Conference will be staged from Wednesday 25th to Friday 27th April immediately prior to the Liebherr 2018 World Team Championships which commence on Sunday 28th April. As a player, Aleena Edwards represented Trinidad and Tobago at many international events, most notably the World Team Championships and the Commonwealth Games. Today, having completed her BSc in Physical Education and Sports in Cuba and an MSc in Applied Sport and Exercise Psychology at Bangor University in Wales, she is the High Performance Table Tennis Coach at the University of Trinidad and Tobago. Her interest lies in the fields of psychological and physical advance in table tennis in particular and sport in general, as well as the evolving science used in the analysis of table tennis. Liu Ruizhi has been part of the scientific team of Chinese table tennis since 2011. She worked with the Men’s National Team from 2011 to 2013 and has been the scientific group leader for the Women’s National Team since 2015. As such, she provides scientific support to the team, at training camps and at international tournaments. She has been a mentor in our mentorship programme and is also a lecturer at the China Table Tennis College. She is particularly interested in Performance Analysis. Also a former player, Diana Zerdila is now a Physical Education instructor at a primary school in Greece and has previously worked in the same field at the National and Kapodistrian University of Athens. As a player, she represented Greece in numerous World and European Championships. In her role as a coach, she accompanied the Junior Girls’ Team to the International School Championships in Clermont-Ferrand, France in 2014. She is a regular attendee at Science Conferences throughout Europe, with her interests focused on Sport Psychology and Training Methods.